unique contour shape fits either of your hand and maximizes comfort with its sweat-resistant finish. Responsive buttons and anti-skid scroll wheel enables you to control with ease. wired ergonomic mouse fits naturally in your hand with no cramping after extended gaming or work sessions.Dpi settings upgrade for your gaming needs.Adjustable between 1200, 1600, 2400, 3200 DPI. 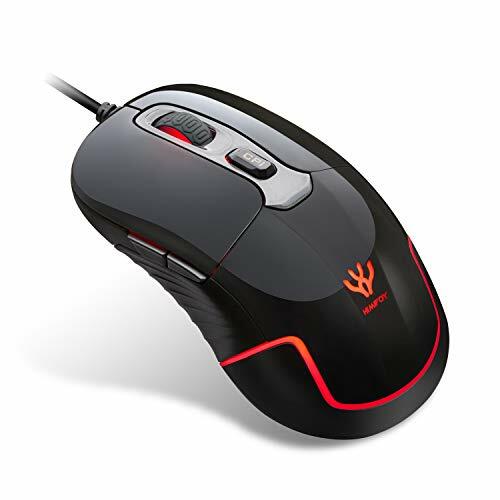 wired game mouse no additional software of firmware is required. Simply “plug and play”, no function of programming.